Garage: "Garage: 2 Car Detached, RV Parking; Parking Space(s): 2"
Basement: Yes, Full "Walls: Preserved Wood"
Lot Size: 18750sq. 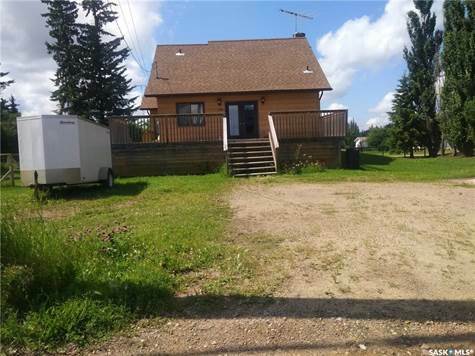 ft. 150ft x 125ft "Corner, Rectangular"
This great property offers 3 lots fenced for your family and pets. Priced to sell, this property has a detached double garage and plenty of parking. Two bedrooms on the main floor with a large master bedroom on the second floor with a 4 piece bath and large walk in closet. The full basement is finished as well with lots of family space. Pierceland is located just 20 minutes from Cold Lake. You are close to the Meadow Lake Provincial Park so many great lakes close by.